Pratchett, Terry (2012). Dodger. : London: Random House. 403. I picked up Dodger at the WHSmith in St Pancras International just before boarding the Eurostar back home, just as you do before a journey that takes more than one hour and you have already read the newspaper twice on your way there in the morning, which is pretty funny because, historically that is how WHSmith started . I had never read anything by Terry Pratchett before (to be frank, I always mix him up with Ken Follett probably because of the double “t”) and I had no particular reason to choose that book specifically except that it was on display and it was cheap (Mr Pratchett, if you ever happen to read this, I’m sorry to say it’s the sad truth). I did not pay much attention to it for a few months because my significant other suddenly wanted to talk during the commute (which he never does) and I put it with the rest of the books I had bought in London. I finally got a chance to read it after I finished Mary Poppins by P.L. Travers — you will soon discover that I have a thing for children’s books — and I was trying to avoid starting The Book Thief by Markus Zusak, which is a bit like Perfume: The Story of a Murderer by Patrick Süskind was a few years ago; everyone has to read it. As it may appear clearly to the reader right now, I was in no particularly good disposition towards that novel. Even the ellipsis on the title page (“He always comes up smelling of roses…”) displeased me, as I have the deepest contempt for ellipses. Anyway, it apparently was set in the Victorian Era, which meant that in the worst case of all, I was in for a little tour in the past. As it turned out, it is a wonderful novel. I loved every bit of it. Dodger, the main character, is a 17 year-old tosher (that is, a man who scavenged the sewers during the Victorian Era) whose nickname illustrates his ability to swim across the streets of London unnoticed. He lives with his old Jewish landlord, Solomon, who has travelled the world and knows about nearly everything, and Onan, Sol’s smelly dog. The story is set in dirt-poor Dickensian London. Dodger lives in a world inhabited by tough prostitutes, mean policemen (“peelers,” the whole text is a Victorian slang galore), and frail orphans until he runs into a carriage out of which jumps a damsel in distress. 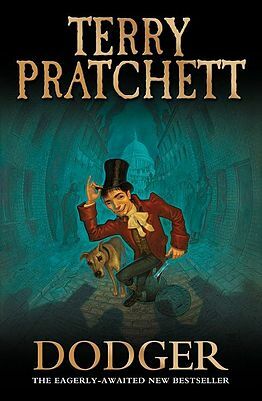 With secondary characters such as Charles Dickens himself, Benjamin Disraeli, John Tenniel and a few others (no spoilers here), this page-turner might well be the epitome of the postmodern neo-Victorian novel, mixing fiction with historical events covered in a brilliant coating of humour and genius. I read it in two days (one of which I was supposed to work on my thesis) and could not think about anything else — not in the haunting way of Jane Eyre that prevents you from feeling differently from the protagonist, but with the curiosity to know what is going to happen next. I strongly recommend it to anyone who can read and wants a great deal of fun. My only regret is that I finished it too soon. I wish there was a sequel to Dodger’s adventures. It was quite easy for Dodger to read her mind; after all, there was such a lot of space there. Not one muscle had moved anywhere on the body of Dodger, if you didn’t count the sphincter. 1. Indeed, as soon as it was made possible for people to travel by train, WHSmith opened book stalls in railway stations where you could borrow a book. Once you arrived at your destination, you could simply return it to another stall and it was sent back to its initial location. According to Kate Flint, this system counted more than 15,000 subscribers in 1894. 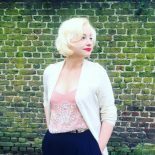 This entry was posted on 14/08/2014 by Justine and tagged Benjamin Disraeli, Book review, Charles Dickens, Dodger, Funny, John Tenniel, Terry Pratchett.